Abadia v Granada, Španělsko: Zarezervujte nyní! Abadia Hotel, with its ancient 16th century style house and patio, is one of the most enchanting, romantic and fabulous hotels you will find in all of Spain.Very convenient location, it is situated 100 meters from the Alhambra bus & airport bus stop.Sleep in the centre of Granada and breathe fresh air, as we are located on a street with no traffic. 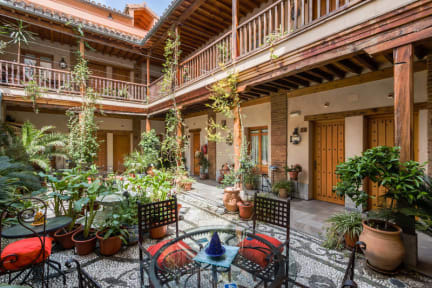 It is situated directly in the middle of the cultural, gastronomical and commercial center of Granada (10 minutes walk to the Cathedral and barrio Albaicin and 10 minutes by taxi to the magnificent Alhambra). The hotel has 19 rooms, all ensuite and the Suite room, even have a Jacuzzi for two people. 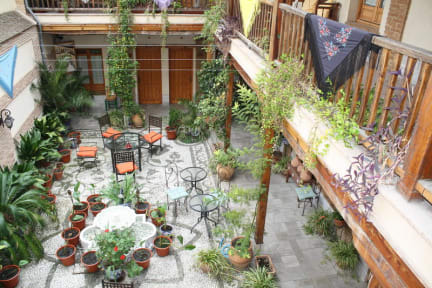 The apartments are situated 500 meters from the hotel, in a very nice building too. To secure the booking we will charge the first night stay on your debit or credit card.